Be a part of Shrivra affiliate program to help us expand our customer base and grow your income. What exactly is Shrivra affiliate program? Now Streamline your Salon business activities easily within a few clicks and grow your business. Oversee Your sales and purchase orders professionally with an automated invoice management software. Prepare bills automatically using this app. A simple, but extremely useful software to collect feedback from customers and communicate with respondents. An all-in-one solution to all your student management needs. Now access the student's grades, homework assignments, attendance, activities, etc, 24*7. A feature-rich Restaurant management software. It helps restaurant owners and managers to manage their food service establishment. 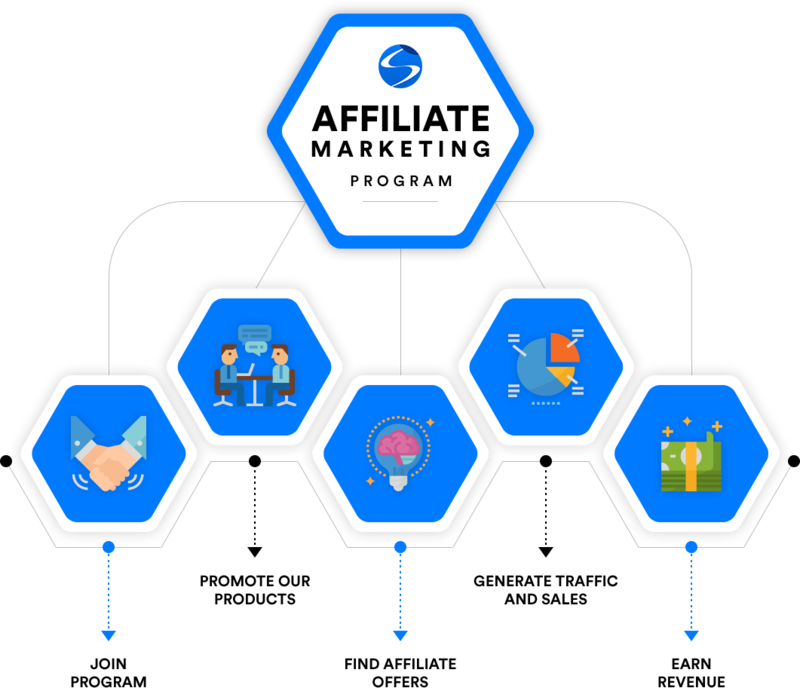 Why should you get started with our affiliate program? Promoting our products is not a rocket science. Just share our referral link with all your near and dear ones, friends, customers, and clients & make them aware of the advantages of using our CRM software. If you want, we will provide helping hands in your promotional activities for the speedy acquisition of qualified leads and sales. Whenever you generate a high-quality lead for us, we convert your efforts into earning opportunities instantly. In simple words, help us sell our CRM software, boost your earning opportunities. Just make people aware of our CRM software and help us generate leads in maximum. We will make instant payments in your favourite currencies for all successful efforts. Shrivra affiliate program is an opportunity for you to be a part of one of the fastest growing companies worldwide and make money. The process is very simple and it is accompanied by many benefits. Who Can become your Affiliate? Anyone who is interested to sell our CRM software in maximum numbers can become our affiliate. What are the formalities to become your affiliate? You don't have to do anything special. Just sign-up for our affiliate program and get to the work instantly. Do I need to sign an agreement to commence the affiliate business? Do you change any free for participating in your affiliate program? What to do if I want to sell your different CRM software? You can sell all our CRM software in maximum numbers. But, initially, you should sign-up for one CRM software and show your selling skills by giving us quality leads in quick successions. After that, you can register for more CRM software. When should I expect my commission amount? Via online bank transfer or paypal. To whom should I contact If I have a question? Email us at info@shrivra.com or call us on +91-8544859108 One of our representatives will respond to your questions and concerns as soon as possible. What to do to promote your CRM and ensure it its smooth sale? Whenever a customer visits your referral link and agrees to buy a CRM software manufactured by us, you will be paid $20 once the sale is made. How much can I get after making successful business deals? Every time, you sale our CRM software, we provide 15% of the Monthly Recurring Revenue (MRR), and 20% for all long-term business deals with bigger brands and companies. How my lead will be validated? It will be performed by our business managers after verifying your leads. How Can I promote Your CRM? Through offline and online marketing channels. Promote our CRM in any way with which you are comfortable and ensure its maximum sale.